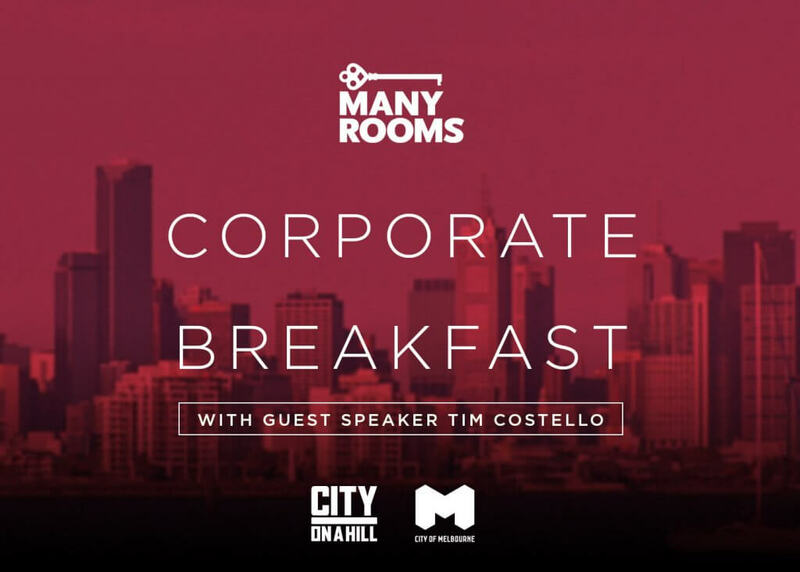 Many Rooms is hosting a corporate breakfast with Tim Costello — and you’re invited! Tim Costello is one of Australia’s most respected community leaders and a sought-after voice on social justice issues, leadership, and ethics. From working with prostitutes in St. Kilda and the homeless in Melbourne, to the refugee camps of war-torn Darfur and disaster relief zones in Myanmar, Tim has seen it all. 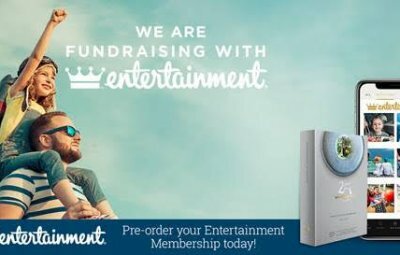 As a result, he continues to tirelessly campaign, using his influence and his greatest asset—his voice. Join us for this special event as Tim, a dynamic storyteller, challenges us with recollections of his experiences as an advocate for the marginalised and vulnerable across our world. Invite your colleagues and networks along to this exciting breakfast— we look forward to seeing you there!